Stay of 8 days and 7 nights on the beach, next to the magnificent Bay of São Martinho do Porto, on the west coast of Portugal. 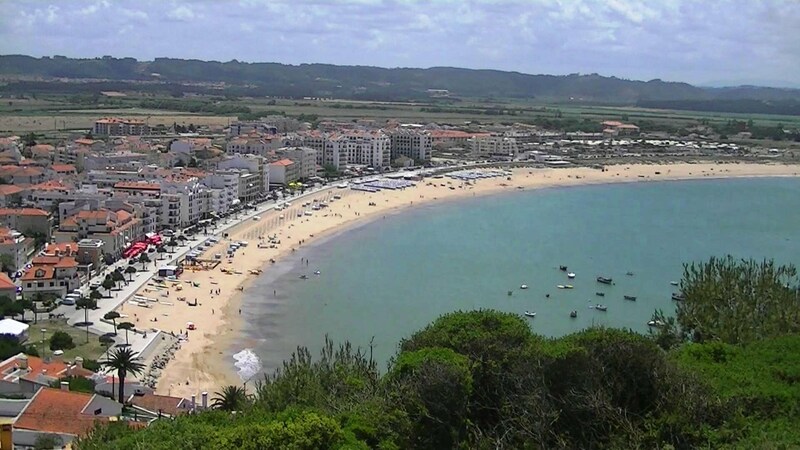 Spend unforgettable days on the beach, enjoying the sunshine and the calm waters of the Bay of São Martinho do Porto. Free time to relax on the beach, where the beach extends for 3 km, forming a shell around a sheltered bay. The calm sea offers the ideal conditions for family vacations, with children, and for water sports. Only for Groups - 20 people or more. 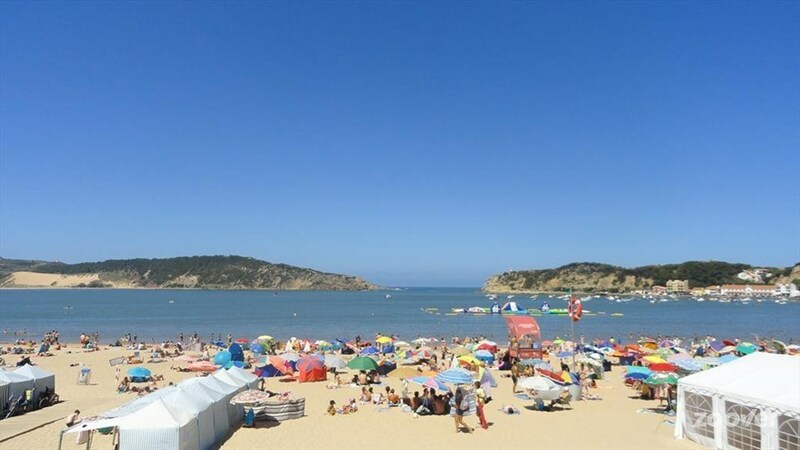 Free time to relax by the sea, in the magnificent bay of São Martinho do Porto, where the beach extends for 3 kilometers, forming a shell around the sheltered beach. The calm sea presents the ideal conditions for a family holiday with children, and for water sports. This full-day tour will take you to some of the most emblematic cities in the western region of Portugal. Let yourself be enchanted by the city of Caldas da Rainha, Peniche and Óbidos. Discover one of the most beautiful regions of Portugal, the West! Here you will find villages and cities still shrouded in ancestral traditions, beaches and mountains, breathtaking landscapes. Visit the thermal village of Caldas da Rainha, known as the Queen's Village, enchants yourself as you walk through the narrow streets with its white and flowery houses of the magnificent medieval town of Obidos, and finally explore Peniche, a city with Strong links to the sea and that will not leave you indifferent. 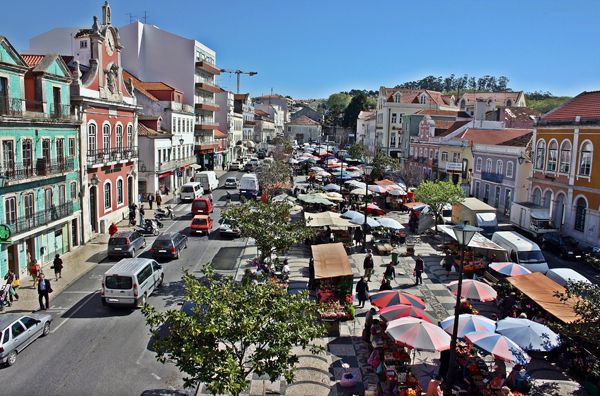 CALDAS DA RAINHA | A dynamic and vibrant village, situated on the Costa da Prata on the west coast of Portugal, it has become a popular tourist destination over time. Rich in water, which dictated the foundation of the city, and abundant in clay, Caldas da Rainha is known for the ceramic art that developed there. Visit the historic center, the old Thermal Hospital and the old queen's pool. Discover the local traditional crockery. Visit the Museum of Ceramics and possibility to make the Ceramic Circuit of the city. OBIDOS | is a charming and picturesque medieval hilltop village, with white washed houses decorated with flowers. Captured from the Moors by the first king of Portugal, D. Afonso Henriques in 1148, the village became prosperous from the time it was chosen by the royal family, when the King Dinis offered it as wedding gift to his wife Isabel, in the 14th century. Full of flowers, many medieval monuments and beautiful panoramic views are found here, relax yet in a medieval bar while enjoying the famous local liqueur "Ginjinha". PENICHE | Peniche is an area of great natural beauty and an enviable landscape, with a vast historical, cultural, natural and religious heritage. Fort of Peniche, transformed into political prison in the era of Estado Novo (1933-1974), was the scene of one of the most extraordinary evasions of the 20th century in Portugal. At Cape Carvoeiro stop to visit the Chapel of Nossa Senhora dos Remédios, inside the rock and covered by beautiful 18th century tiles. Take a walk along the beach of Baleal, which stretches between two seas like an island (which was once), much sought after by the excellent conditions for surfing and Bodyboarding. 17H30 | Return to the hotel. Visit the most iconic places in the coolest city in Europe. 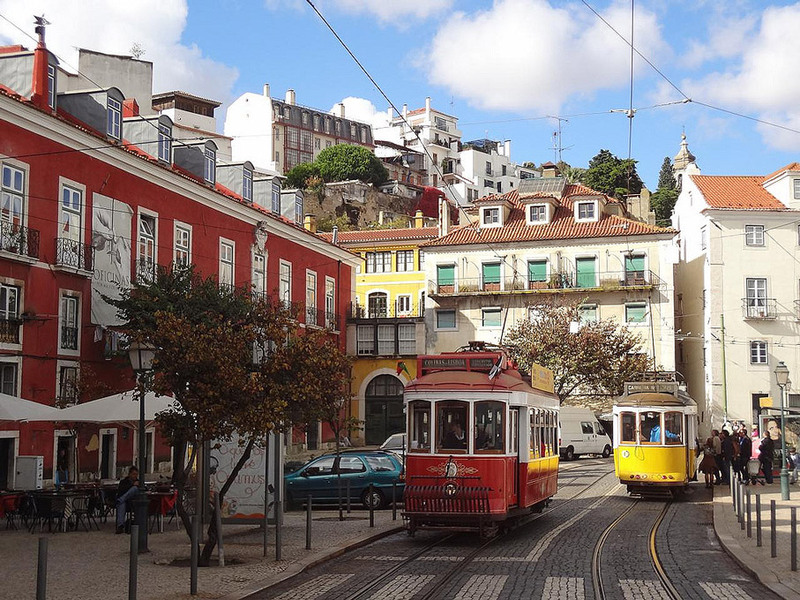 Take a walk through the streets of Alfama, discover the beauties of the downtown and admire the city's grand monuments. LISBON | On the right bank of the broad Tagus river estuary, the capital of Portugal graciously reclines over rolling hills. This is a spectacular geographical location and does much to explain the cosmopolitan history of the city. Its exceptional natural light, which has long inspired writers, photographs and filmmakers, the brightly coloured buildings straddling the slopes, the striking ochre of the roofs, the tiling on so many facades and the narrow twisting alleys of the medieval districts bestow Lisbon with the peculiar atmosphere of a city perched somewhere between the European north and the Mediterranean south. BAIXA (DOWNTOWN) | Park Edward VII, Avenida da Liberdade, Squares of Rossio and Restauradores, St. Dominic's Church (18th century), Ginjinha, Baixa Pombalina (Pombaline Downtown), Praça do Comércio. WALKING TOUR ALFAMA | Alfama is one of Lisbon's most genuine neighborhoods – its architecture presents the unique characteristics of old and colorful buildings that give it a joyful character and tranquility. While walking through the disordered and narrow streets of Alfama, you'll feel like you’re in a small village, witnessing conversations between neighbors, listening to Fado echoing through the stairways and being able to see the Tejo River from another perspective. MONASTERY OF JERÓNIMOS | Built in the 16th century, an impressive example of Manueline architecture. It was King Manuel I who ordered the construction of the Monastery and its endowment to the Order of the Friars of Saint Jerome. The sheer magnificence of the building reflects the universal vision of its founder and the scale of the wealth available to the Crown. This was the starting point of the Portuguese discoveries. taste the Portuguese Cuisine in the numerous local restaurants where fresh fish dishes are the main attraction. Enjoy the exceptional conditions of this bay for the practice of water sports. We start the day with a visit to the most picturesque beach of Portugal: Nazaré. 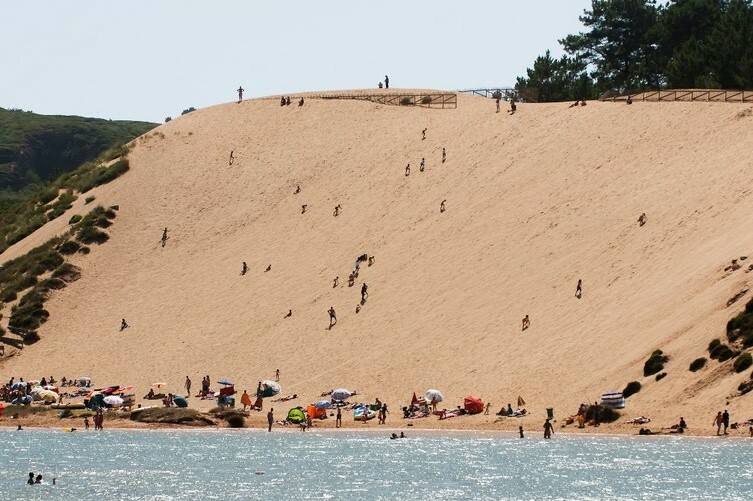 With its mild climate and natural beauty, Nazaré beach has one of the most ancient traditions connected to fishing in Portugal. Known for its giant waves, the beach of Nazaré has plenty to offer you. Then we discovered two jewels of Portuguese architecture: Monastery of Alcobaça and Monastery of Batalha, both classified by Unesco as a World Heritage Site. It is also essential to visit the ex-libris of religious tourism in Portugal: Fátima. A sacred place of national and international importance, Fatima is known as the altar of the world. 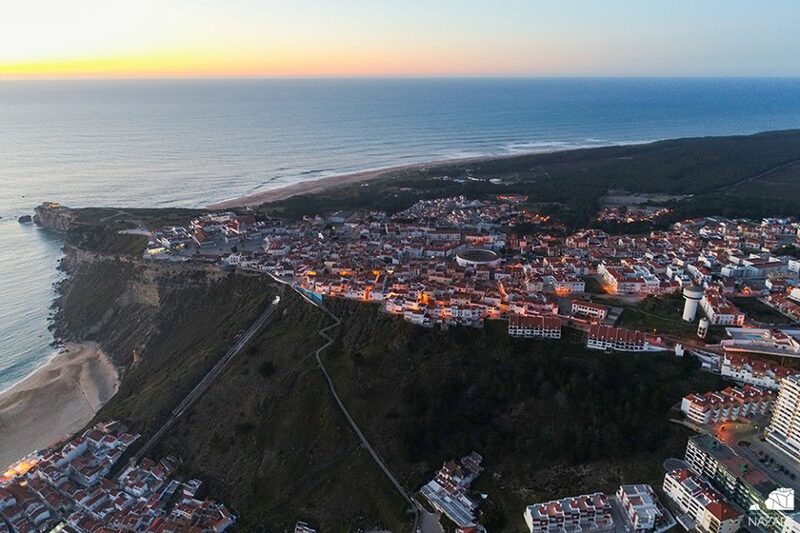 NAZARÉ | Nazaré beach, with its mild climate and natural beauty, has one of the most ancient traditions connected to fishing in Portugal. The long sandy half-moon shaped beach, which is also the town’s sea front, is known for its grandeur and for the brightly-coloured awnings that decorate the white sandy beaches, contrasting with the blue of the water. We visit the Sítio, which provides one of the most famous views of the Portuguese coast. It is a 318 metre rock face with a sheer drop to the sea and is reached on foot by the bravest, or by going up the funicular. At the top sits do not miss a visit to the Ermida of Memória chapel, and to the Shrine to Our Lady of Nazaré. MONASTERY OF ALCOBAÇA | Monastery or Royal Abbey of Santa Maria, founded by the Order of Cistercians in 1153. Building began in 1178 on land donated by Dom Afonso Henriques, the first King of Portugal to the Order of Cistercians, in fulfilment of a vow made after the Christian reconquest of Santarém. Testify the magnificent gothic tombs of the two lovers King Pedro and Ines de Castro. MONASTERY OF BATALHA | Built in 1386 to keep a vow by Portuguese King Dom João I to the Virgin Mary that he would build it if Portugal defeated Castille at the Battle of Aljubarrota on 14th August 1385. The Monastery of Batalha, a masterpiece of Portuguese Gothic, is a magnificent piece of architecture that combines various influences from its lengthy period of construction, which lasted several reigns. FÁTIMA | The apparitions of Fatima have developed immensely the local town into one of the largest centers of Marian cult in the world. The major manifestations of devotees are hold at May 13 and 13 October. Estimated time of arrival at the Hotel | 6:30 p.m.
On this last day enjoy the beach, the calm sea and relax in the hot sun. Enjoy your free time to make those last minute purchases. In the village of São Martinho do Porto you will find many boutiques, coffee shops, pastry shops and local produce stores. Hotel transfer directly to the Lisbon airport with group support on boarding formalities.